El Monte, CA – September 23, 2011 – NZXT, a company built on realizing the dreams of gamers worldwide, is proud to announce the Source 220. 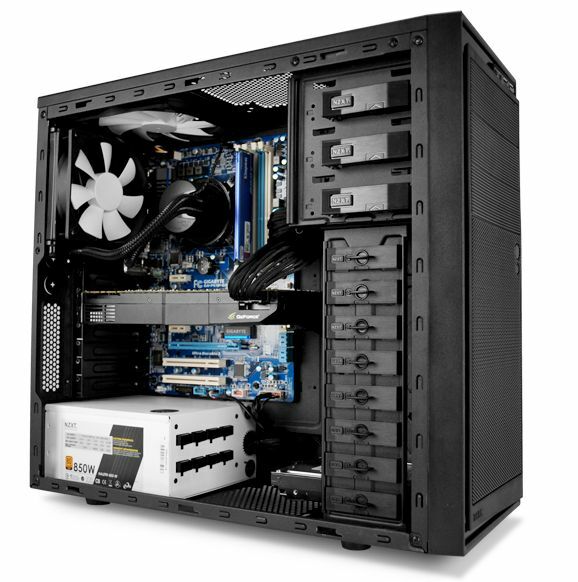 This sleek, brushed aluminum, mid tower chassis delivers optimal airflow for budget-conscious gamers. Priced at under $60, Source 220 delivers the best cooling capabilities in its price range boasting features like steel mesh design, the ability to mount up to 7 fans with one 120mm and 140mm fan included. Screweless design makes for a pain-free build and easy removal of HDD and optical drives. NZXT also implements a CPU cut-out for easy installation of heatsinks and simplified cable management to enable better airflow inside of the system. Source 220 also includes USB 3.0 capability for high speed data transfer.